Melasma and Post Inflammatory Hyper-pigmentations (PIH) can now be safely and effectively treated using the only proven method to treat these types of lesions. The ND YAG laser is used over a number of treatments to lighten these lesions with no side effects. 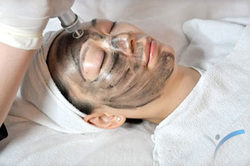 The procedure is safe on all skin types and is the only medically proven method to treating Melasma (currently the only FDA approved treatment for Melasma). 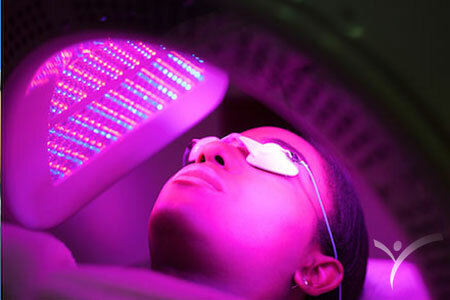 This is the Gold Standard method of treating Melasma and PIH compared with lightening creams and other laser and light based therapies. 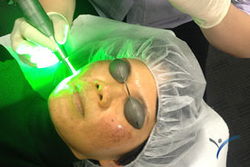 A gentle laser treatment to exfoliate, tone & degrade both pigmentation and vascular aspects of melsama with no downtime. IPL treatments are an ideal and effective solution to target superficial pigment discolouration that may be caused from sun damage.